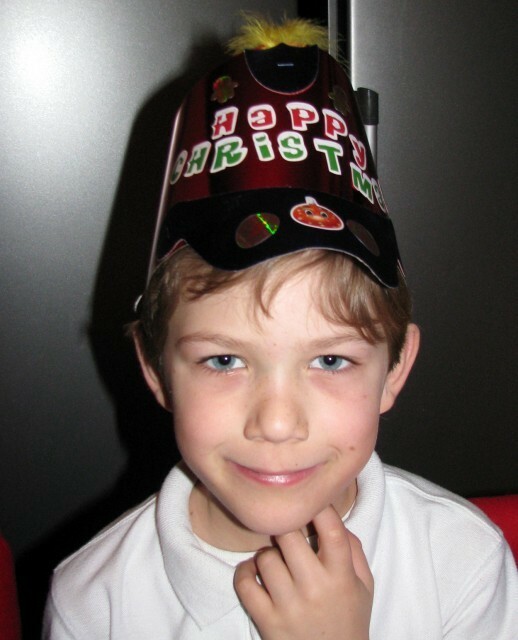 Home » Creative Activities » Fancy a Christmas Hat? 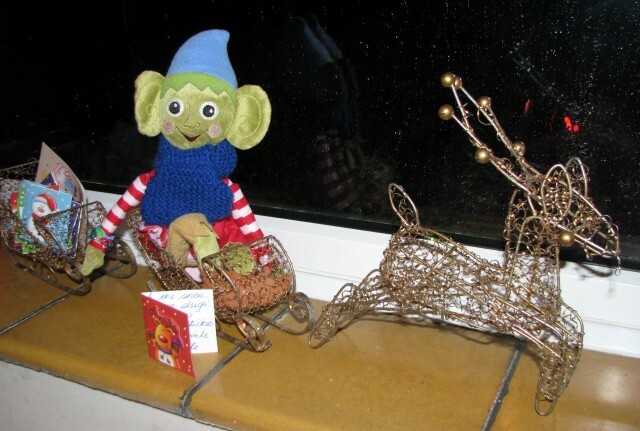 Today Jingle was found sitting on the windowsill in the kitchen inside a sleigh ornament. He had put Christmas hat chair covers onto the 5 chairs and left 3 super shiny Christmas party hats and a pack of Christmas stickers on the table. 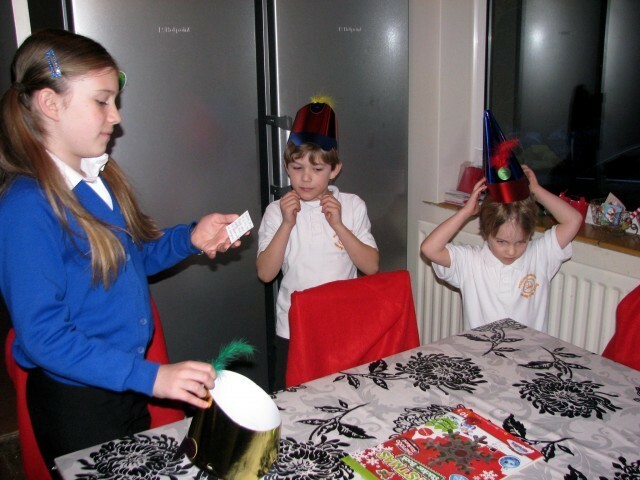 He invited us to decorate and personalise our party hats using the stickers. It was a lovely start to the morning and the children even forgot to ask if they could have the telly on (they usually ask every morning for the telly) which was super! 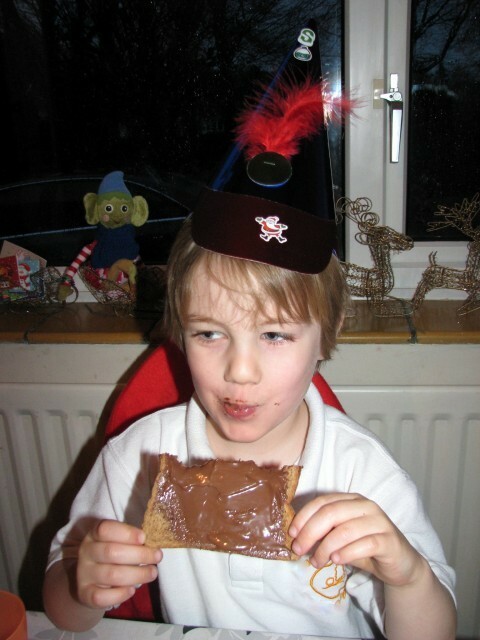 My middle boy really loved this activity and totally covered his entire hat. 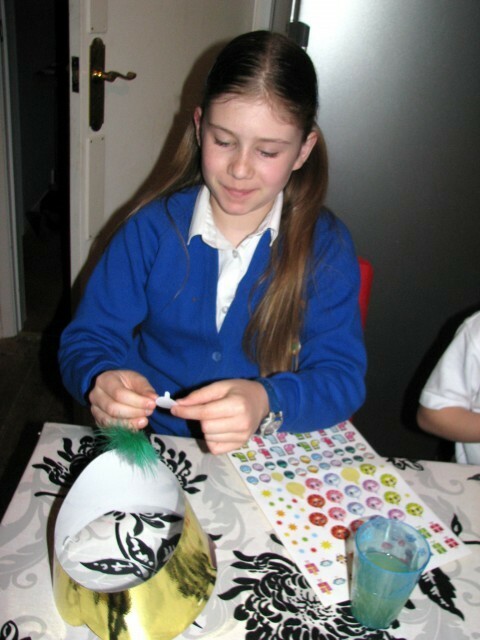 What is it with stickers anyway…I’m yet to meet a child who does not like them! 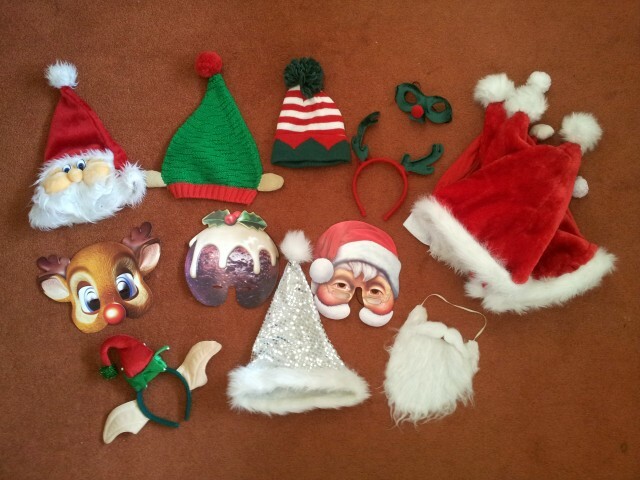 Why not create your own Christmas Props box? …It is a really fun and funny way to spend a few minutes messing about together.